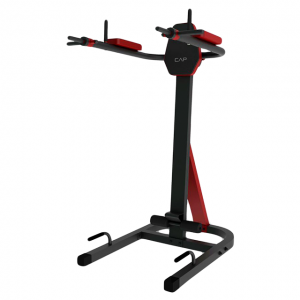 Perform several different exercises on this one versatile machine, including dips, leg raises (or vertical knee raises), push-ups (handles are built in), and chin-ups. 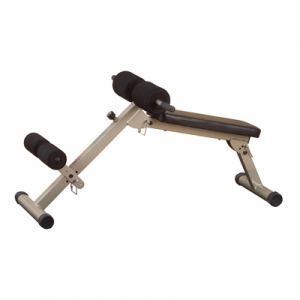 Dual step-ups and integrated chin-up bar are included for free! 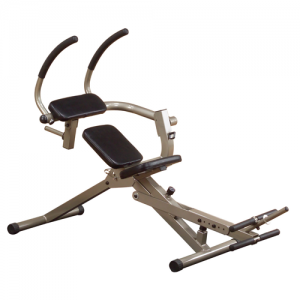 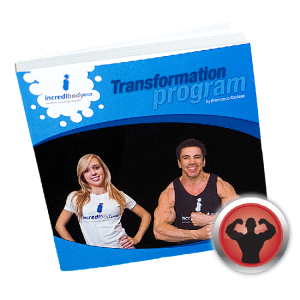 • Perform a variety of exercises on one versatile machine. 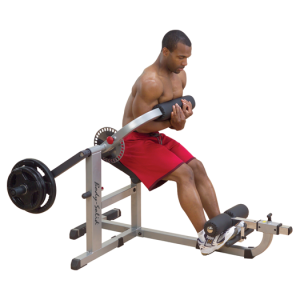 • Dips are considered one of the best triceps and chest developers. 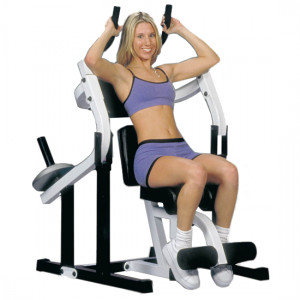 • Leg or knee raises firm, tone and develop abdominal muscles. 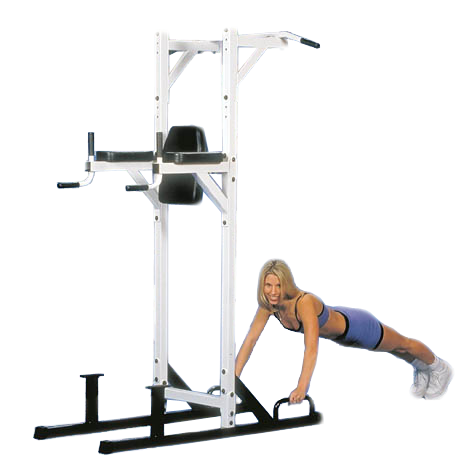 • Push-up handles are built-In. 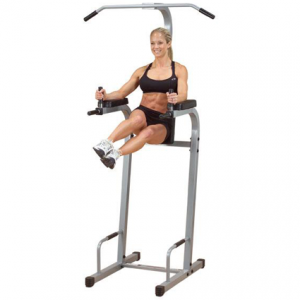 • Chin-ups isolate and develop the back and biceps. 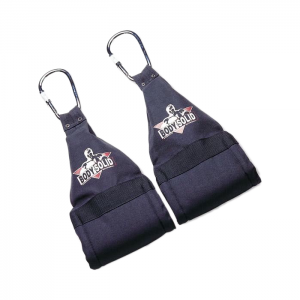 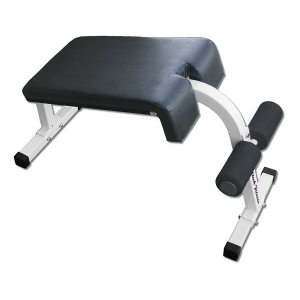 • Dual step-ups & integrated chin-up bar included at no extra cost. 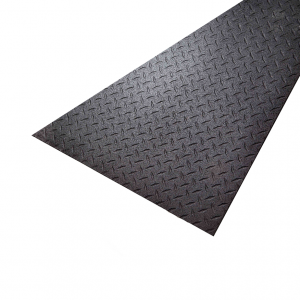 • Dimensions: 83″H x 48″W x 57″L.